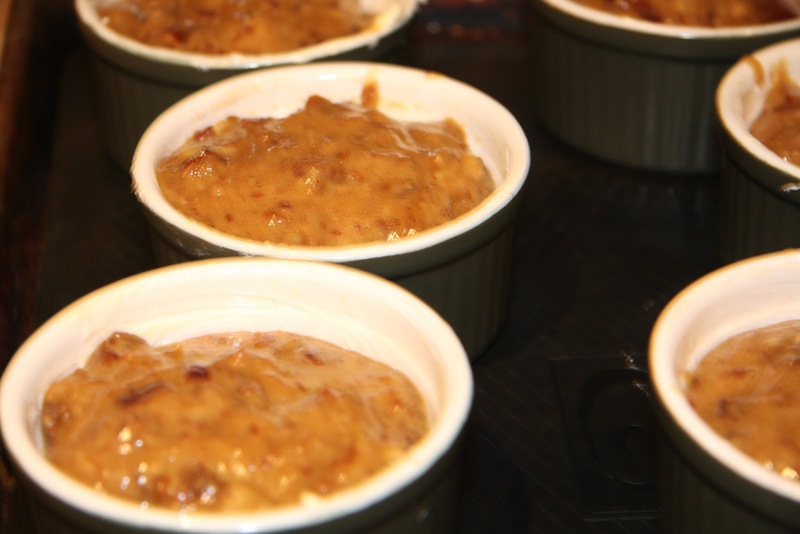 This is a pudding that my gran used to make and something that I crave whenever something ‘big’ happens. We had a death in our family this week. Our dear Mim, my sister-in-law, passed away very unexpectedly on the weekend. I know it sounds like a very bald statement to signal the end of an incredible person but I don’t think any of us have processed it yet so we’re just soldiering on. How do we deal with grief around our house? This is the epitome of comfort food. Well, I think maybe some macaroni and cheese might me in order too. 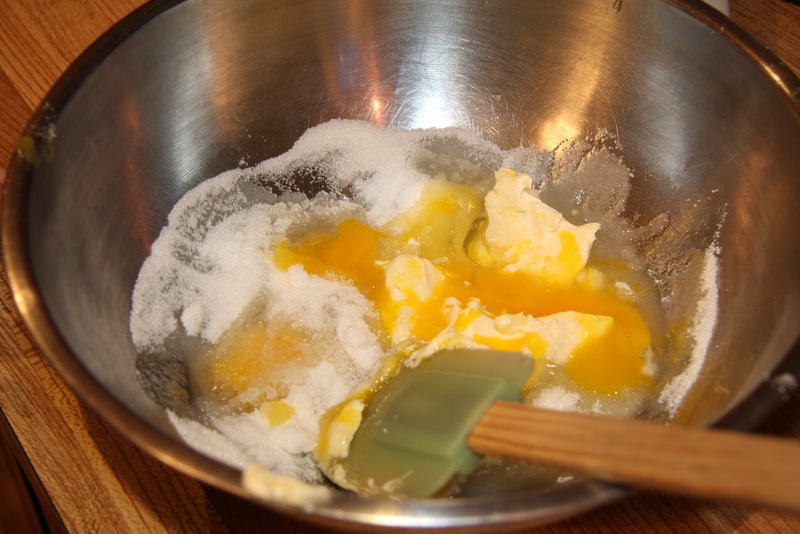 Mixed 1 cup of sugar with three eggs and 3 oz of butter. I added 1 1/2 cups of flour, 1/2 tsp. baking powder and a pinch of cloves. I chopped 2 cups of dates and boiled them with 1 3/4 cups of water. 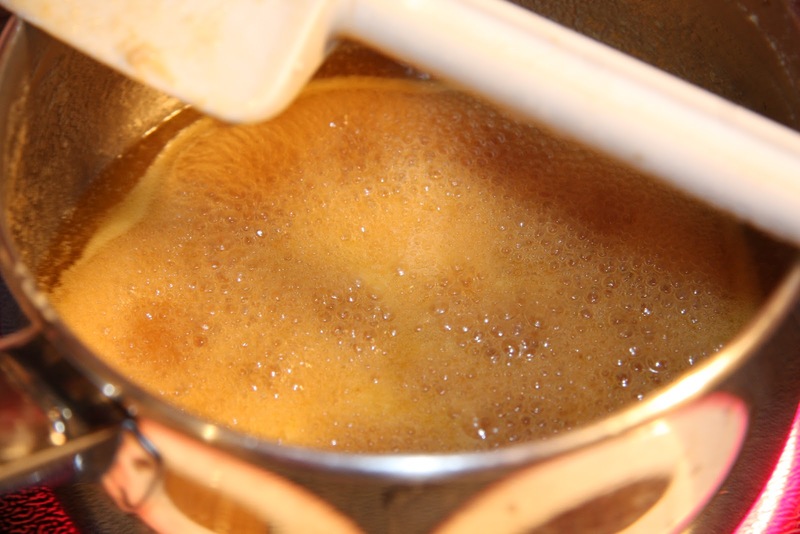 Once they reached a boil I added 1 1/2 tsp. of baking soda and mashed them. 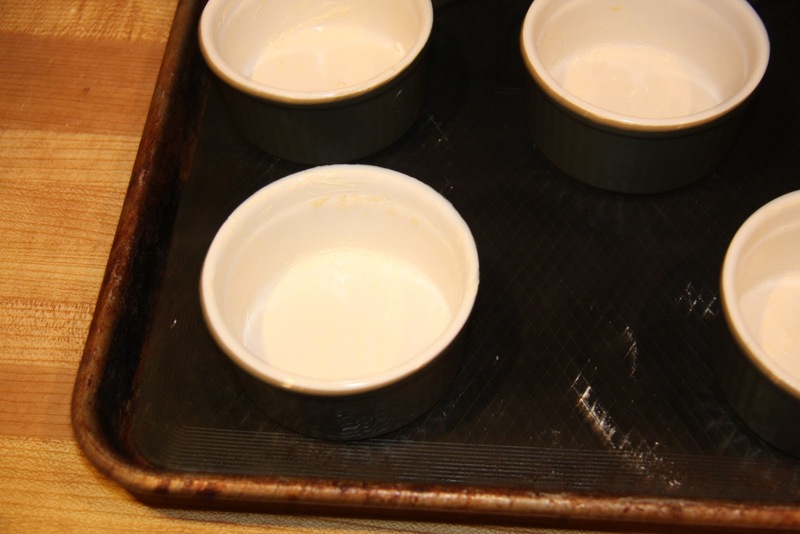 Add to your egg mixture and divide amongst the ramekins. Bake for 35 minutes at 330 degrees (check at this point they may need a bit more time). 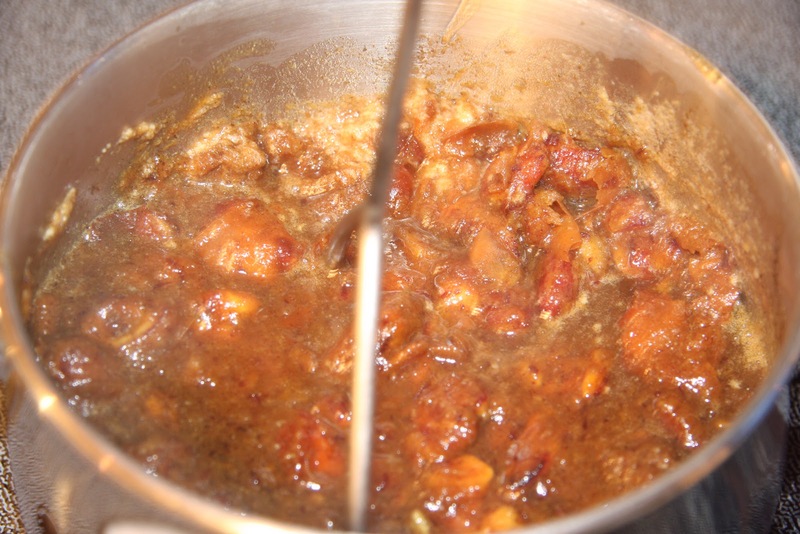 Now for some caramel sauce. 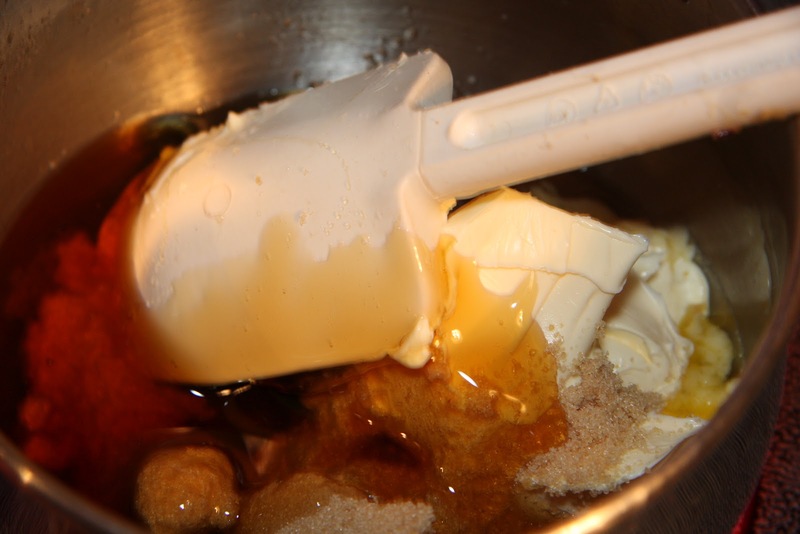 5 oz butter, 1 cup brown sugar, 1/3 cup corn syrup. Melt together and then add 3/4 cup cream. 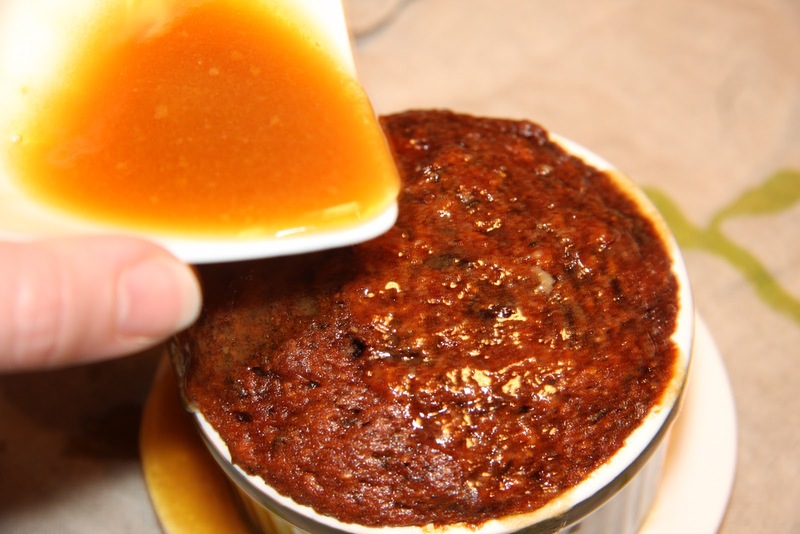 Douse in caramel sauce and sit with your one and only and the small one. Sorry about your SIL! My regards to the family. I'm so sorry Jane. Wrapping you up in great big hugs! P.s. Looks yummy. So sorry for your loss. It is always harder when it is unexpected,sending prayers your way. So sorry to hear about your SIL Jane! I hope everyone is doing ok! Sorry to hear the sad news, it's always hard to let someone go especially unexpectedly. It makes me grateful that there is a plan for us all and we are never left alone in our hour of need. The pudding looks divine! So sorry about your sister-in-law, that's devastating! Prayers are headed your way. I have a bunch of dates in the fridge that need to be used up so they don't become food waste, this looks like just the thing that is needed!